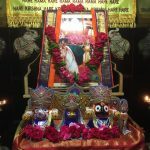 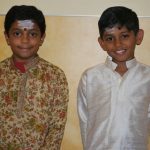 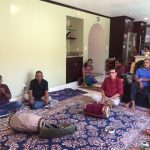 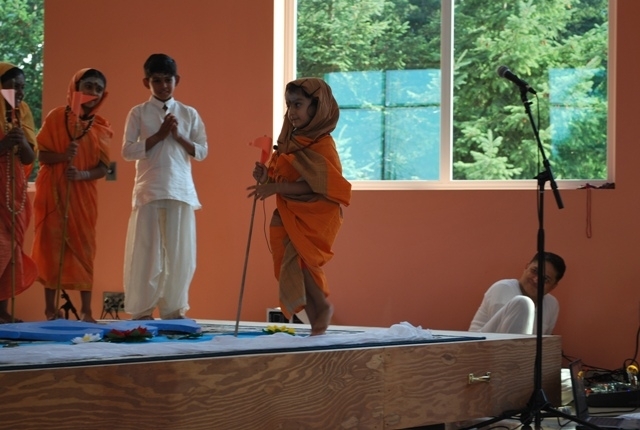 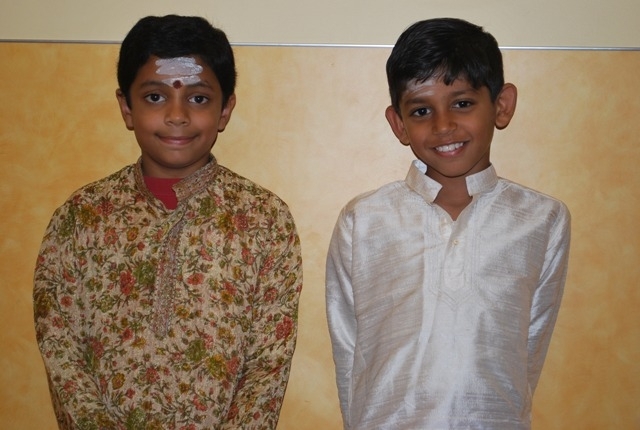 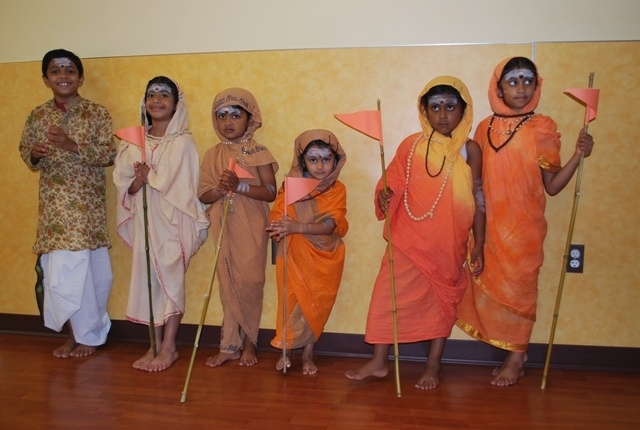 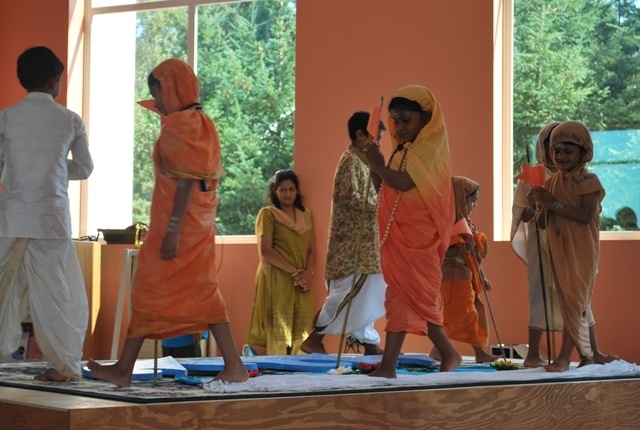 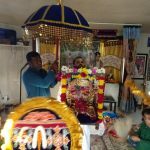 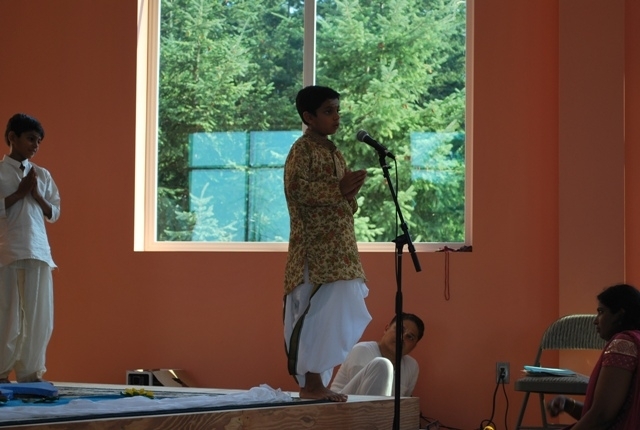 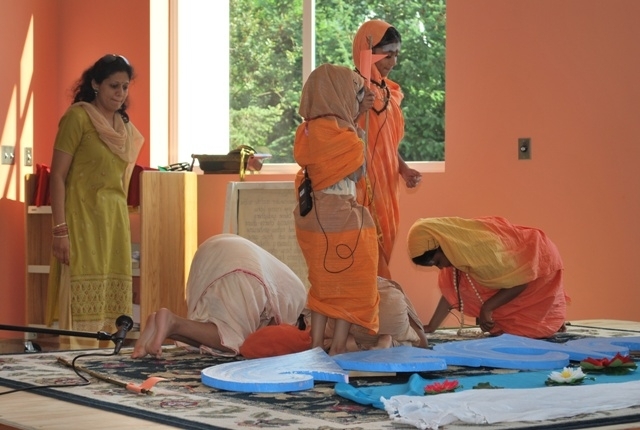 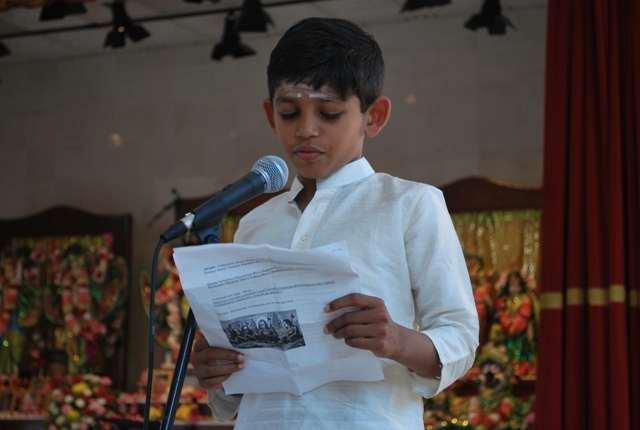 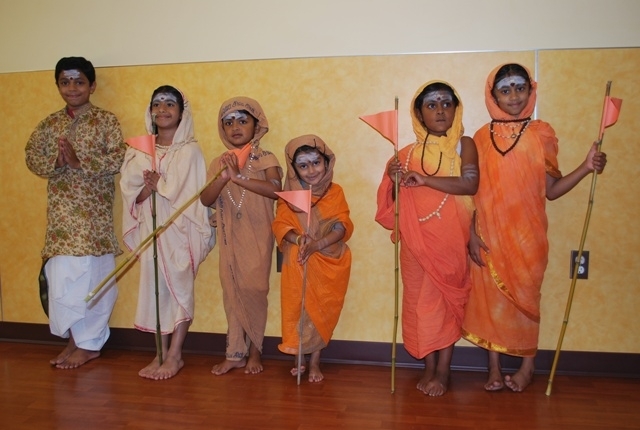 Seattle GOD celebrated the Guru Poornima in a grand manner on Sunday, July 12th. 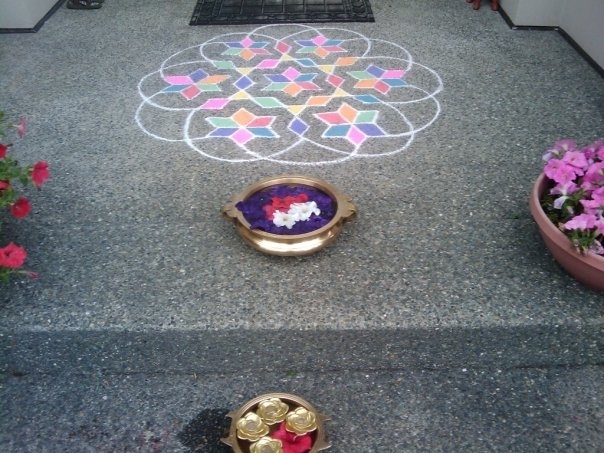 The celebrations kicked off at Priya-Murali’s with a grand kolam/rangoli in front of the house. 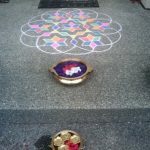 The kids decorated ‘uruli’s with floral arrangements. 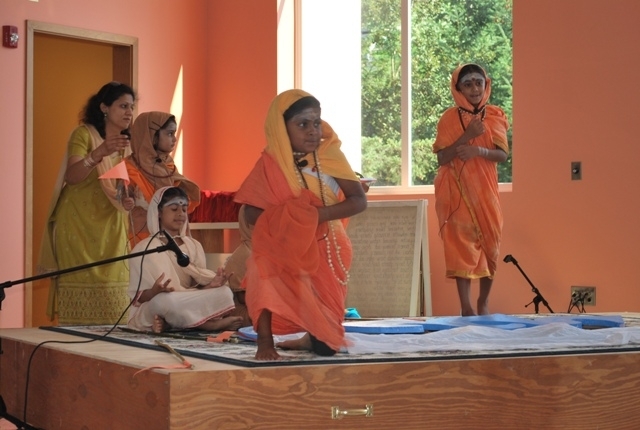 The program started off with Nama Sankirtan, followed by slokas. 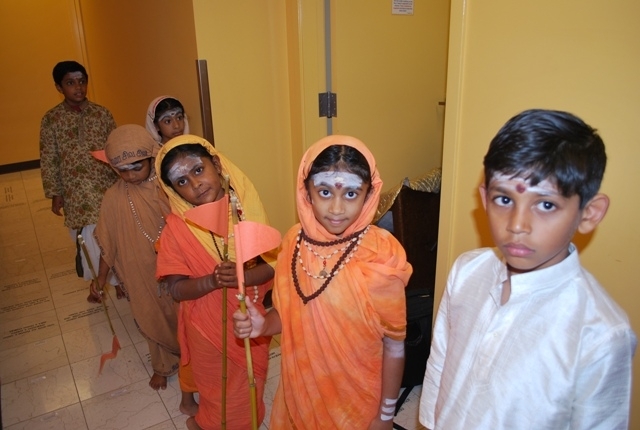 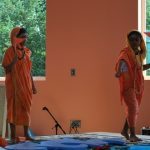 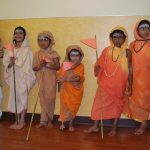 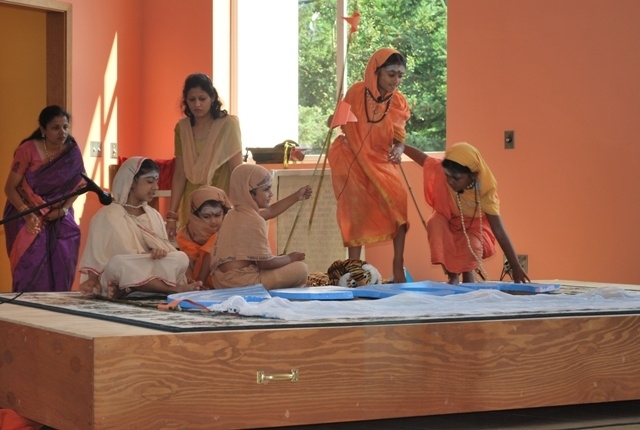 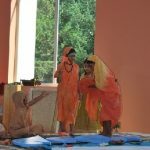 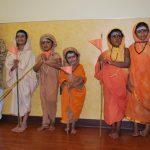 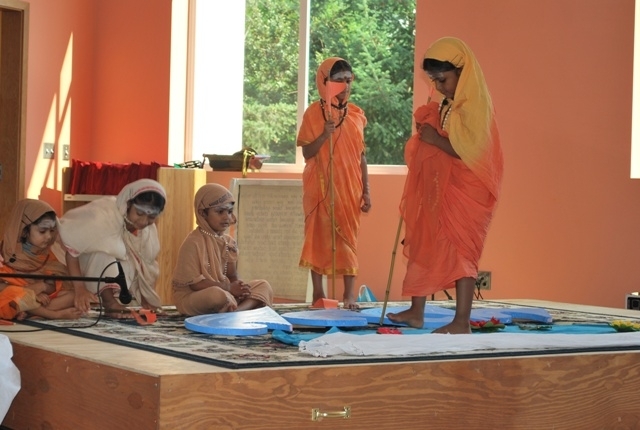 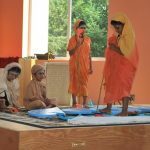 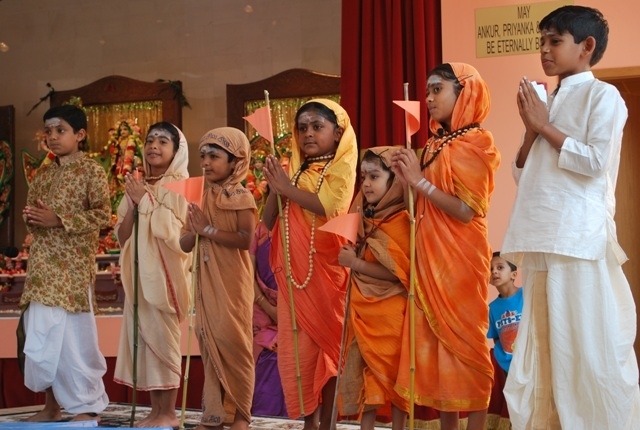 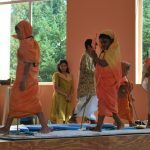 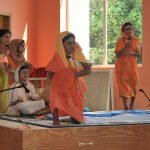 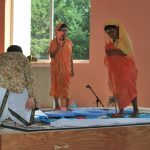 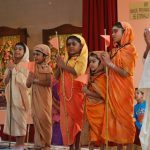 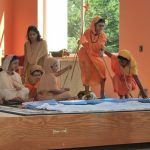 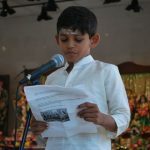 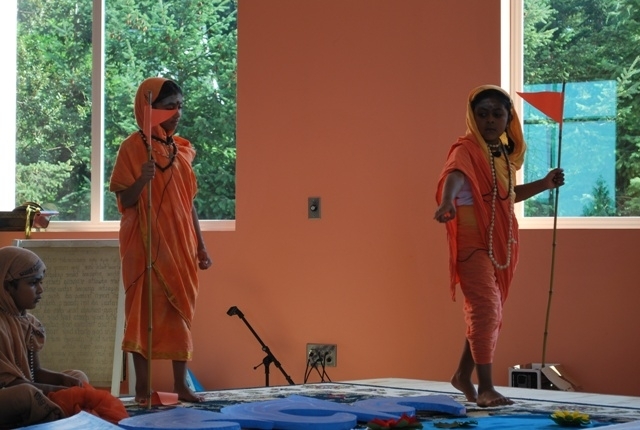 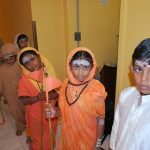 This was followed by the grand highlight of the day – the skit on Guru Bhakti from the life of Sri Adi Shankara by the kids. 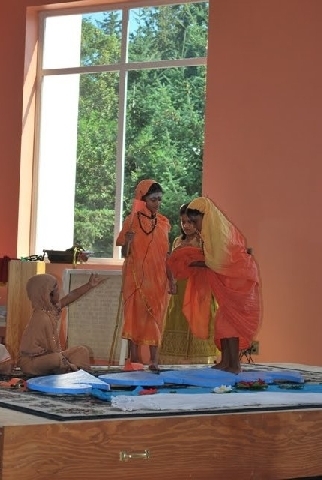 The kids gave their best, each one outperforming the other and stunned the audience by their fantastic performance! 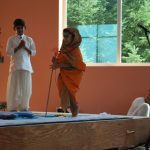 A three year-old said ‘Lets all chant Bhagavan Nama to save our friend!’ and ‘Its all because of our Sadguru’s grace and Mahima’! 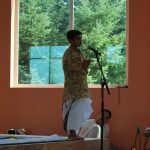 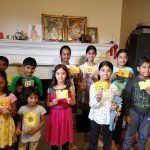 The kids all wrapped up with a verse from Thotakashtakam which they simply learnt from all the adults by attending Satsangs regularly. 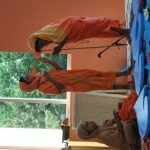 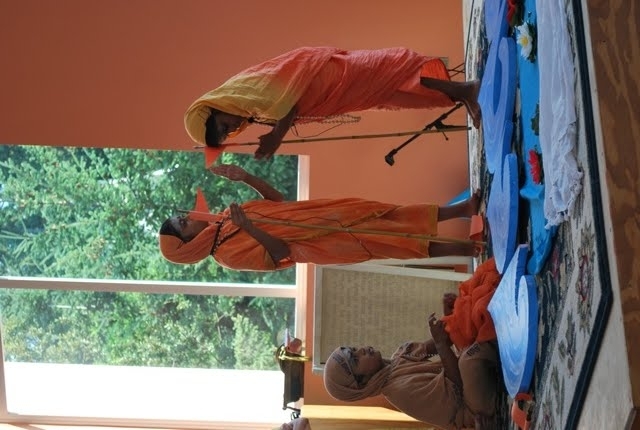 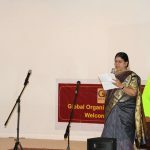 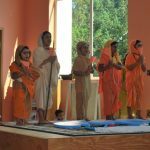 Following the skit, Sri Swamiji’s discourse ‘Guru Bhakti and Nama Kirtan – Imperatives to attain the infinite’ was played. 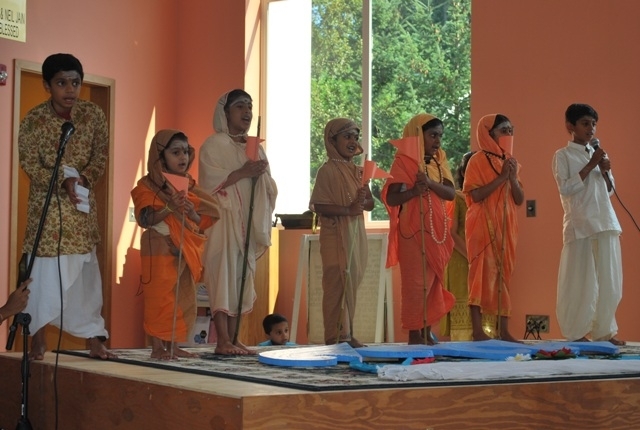 Then after some Bhajans, the satsang wrapped up with Nama Sankirtan and Maithreem Bhajata. 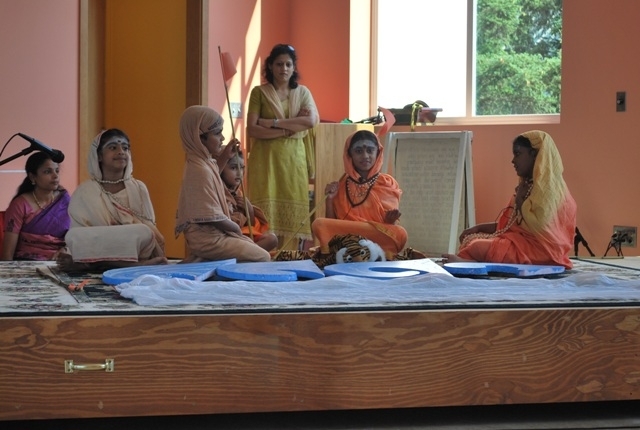 It was a very blissful and satisfying experience for all the attendees.